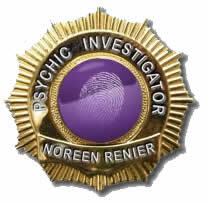 A Phone Reading with Noreen Renier is an encounter you will want to experience. UPDATE: Because of the recession and the terrible problems with the economy, Ms. Renier is lowering her fee to $250.00 for the next several months to help you get thru these turbulent times. A Private Session is an inexpensive, yet effective way to understand yourself and where you are heading. If you need guidance or insights into: Relationships, Romance, or Business begin your journey of understanding today. We have added new people to our address book and many of you who didn’t get this earlier. A belated Christmas Gift. Sending you a touch of ‘real magic’ for your holidays and the coming New Year. My gift to you is my booklet, How to Create and Attract Anything and Anyone You Want in Your life. It will be available from December 22nd to January 5th. To download, click on the link below. The mind is not only powerful: in the final analysis, it is the only power. Hopefully my booklet with help you use more of your mind to create ‘real magic’. Best Wishes for a year filled with peace, good health and happiness!